If you have been following our publications you might already know that CheckiO has a wide range of useful tools designed to make the game as user friendly as possible. We are always open for improvements and looking to upgrade where possible. This time I want to concentrate on one of the very powerful tools that we've been using a lot and that is of a great assistance to many of our members - emails. At this point emails on CheckiO serve several purposes the most important of which are to keep our users informed and up to date. So let's review the three ways how you can use this tool to your advantage and likings. When you open the user settings page you will have an opportunity to choose what kind of notifications you want to receive from CheckiO. 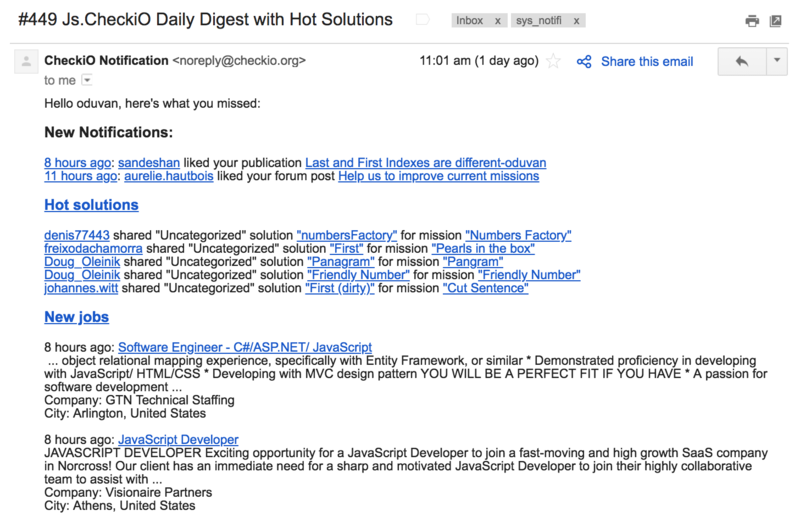 Those notifications can be the comments to the blog-post you are interested in or forums you've subscribed to. The best part here is that you won't be just receiving the notification with a certain comment on your email, you'll be able to also reply to that comment by simply replying to the email. You may not be able to visit CheckiO on a daily basis and you probably won't be too eager to receive all of the notifications right away. But you still want to be a part of the game even on the outside due to having friend on CheckiO and keeping tabs on their progress. Weekly Digest can be a great tool which will help you to follow your friends and keep an eye on how they are solving puzzles. Once per week (or even every day, it's up to you to choose) you will get an email with all the activities and notifications you have missed. It goes without saying that you won't be receiving this email if nothing related to your account happens. This is one of my favorite parts on CheckiO. Once per day (the time period can be changed) the game will send you an email with the random solution for a mission you have recently solved. 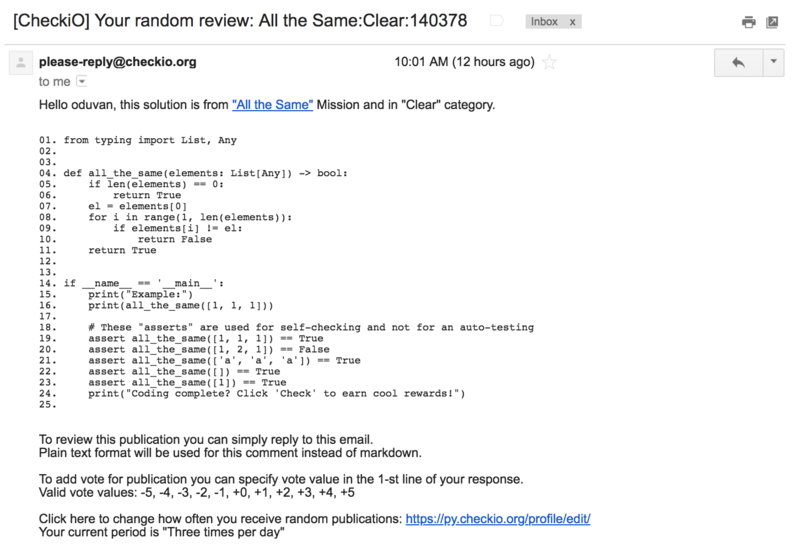 You can give a code review for this solution by simply replying to this email in the same way you do when replying to a comment. Your review will be added and classified as a random review which will get you two times more points for it. 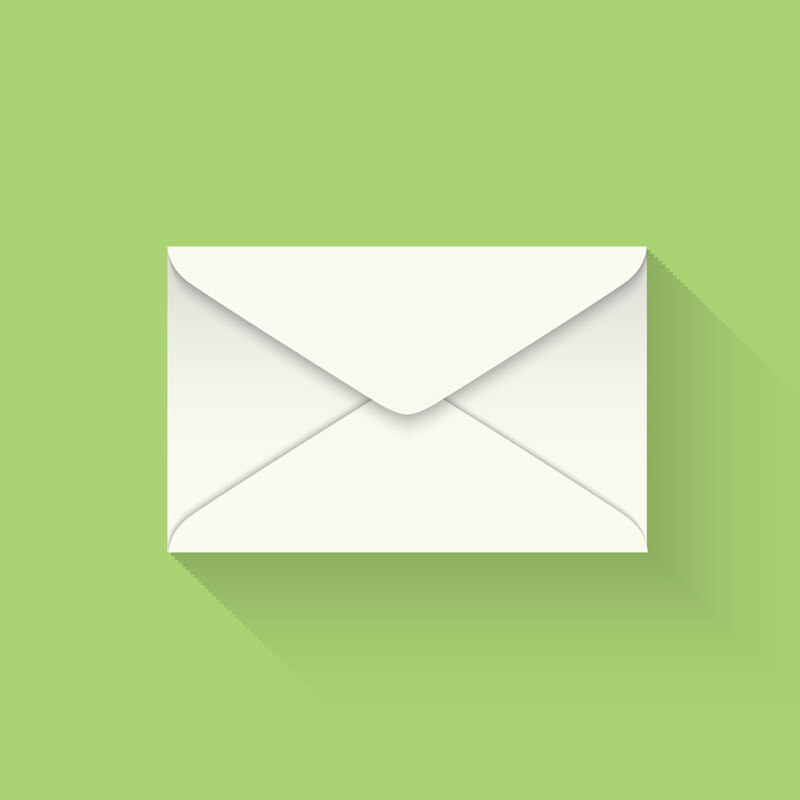 As you can see emails can be a great and a very reliable tool, highly configurable to meet your needs. It will keep you involved in eveyrthing that happens in the game and provide an easy access when you need to reply to somebody on CheckiO without actually entering the resource. PS: We don't support markdown in email replies. You can also rate an object you commenting on by leaving +1 or -3 in the first line of your reply.